Mobikwik acts as a mobile wallet which permits online payment system and offers recharges, bill payments, shopping through huge array of brands like Domino&apos;s Pizza, Pizza Hut, Café Coffee Day, PVR, eBay, Jabong, Snapdeal, ShopClues, HomeShop18, FashionAndYou, MakeMyTrip, BookMyShow and many others.You can transact and pay the bills of Mobile Recharge, Postpaid Bills, Online dTH Recharge, Data Card recharge, Online Recharge, Life Insurance bills, Electricity bills, Landline and Gas bills also through Mobikwik. Mobikwik also provides cash-back policy on certain products and Add money offers. Check out Today&apos;s offers and other cashback deals of Mobikwik through HappyCheckout. Follow the best deals, coupon codes and promo codes for Mobikwik given below and claim reasonable discounts. Get 5% SuperCash on recharge or bill payment of Rs.10. Minimum amount spend to avail the offer is Rs.10. Maximum SuperCash is fixed at Rs.500. Mobikwik is offering flat 25% SuperCash on . Maximum SuperCash Rs.100. Offer valid once per user. Offer is applicable for all DTH recharge. Minimum amount spend to redeem the SuperCash is Rs.99. Valid one per month/per user. Checkout latest Mobikwik coupons and offers. We verify Mobikwik coupons daily to give you best offers. Book a train ticket using IRCTC Rail connect, pay using mobikwik and get flat 100% SuperCash. Maximum superCash Rs. 100. Offer valid once from 6 pm till 9 pm, on 14th July, 2017. Offer can be availed by first 5 lac users only. Use the code to avail the offer. Hurry Up! Mobikwik is offering flat 15% SuperCash on Electricity, Postpaid, Gas & Utility Bill Payment done on MobiKwik App or website. Maximum SuperCash Rs.100. Offer valid once per user. Offer is valid only for new MobiKwik users. Use the code to avail the offer. Hurry up! Recharge Jio Number using Mobikwik App or Website and Get 10% SuperCash. Minimum Recharge value Rs.100 or more. Maximum SuperCash Rs.100. Offer valid once per user. Offer is applicable on operator Jio only. Use the code Hurry Up!. Now use mobikwik wallet to pay your zomato food bill, avail flat Rs.75 discount + 25% supercash on first order and get 15% cashback( upto Rs.75) on repeat orders. Minimum First order value Rs.300. Offer valid twice per user. Use the code. Hurry up! Mobikwik is an extremely popular payment gateway which started around the same time as Paytm and Freecharge. With so many online wallets it becomes really hard to choose which one you should use. MobiKwik App(Android / ios) provides users the option to add money using their debit or credit card, net banking, and ‘cash pay’, a doorstep cash collection service. The Mobikwik wallet needs to be loaded with money before it can be used for payment of mobile and other bills. Now add money to your mobikwik wallet for the first time and use the code "DOUBLE" to get Get 200% SuperCash. Minimum amount Rs.10. Maximum SuperCash Rs.65. Offer valid ONCE per user. Offer valid for NEW MobiKwik users. Offer is not valid on Net Banking and Virtual Card payments. Use the code. Hurry Up! Amazing Offer: New users Get flat Rs.65 cashback on Add Money of Rs.10 or more done on MobiKwik App. Enjoy total value worth Rs.75 (Rs.65 as cashback & Rs.10 added by you). 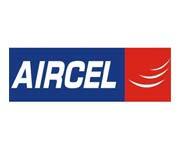 Minimum Add money Rs.10.Maximum Cashback Rs.65. Offer valid once per user.. Offer valid for NEW MobiKwik users. Offer is not valid on Net Banking and Virtual Card payments. Use the code to avail the Offer. Hurry up! Now Add money to your mobikwik wallet and use the code TURN2 and get 10% Extra supercash. Offer valid only for 2nd add money transaction. No minimum value required. Use the code to avail the offer. Hurry Up! Book Jugnoo auto pay using Mobikwik and get 50% SuperCash. Max SuperCash Rs. 100. Offer valid once from 6 pm till 9 pm, on 14th July, 2017. Offer can be availed by first 5 lac users only. Apply the code. Hurry Up! Order Medicines on 1MG.com or App, pay using Mobikwik and get 22% off on prescription medicines & 12% off on OTC products. No minimum order value. No limit on the maximum discount on prescription medicines. Maximum discount on OTC products is Rs. 200. Use the code. Hurry Up! Now On adding money to Mobikwik wallet get 2%, upto Rs.200 SuperCash. Minimum amount to spend Rs.10. Maximum SuperCash amount Rs.200. Offer valid once per user. Offer valid for All MobiKwik users. Offer is not valid on Net Banking and Virtual Card paym. Use the code. Hurry Up! Mobikwik, like Paytm and Freecharge first started off as a mobile recharge portal only. But, it has since grown by leaps and bounds and all the hard work has come to fruition with it reaching over 15 million users. If you are looking out for few more options for offers on recharge, have a look into Oxigen mobile recharge offers page to view all the offers they are offering on mobile recharges. Now Recharge your mobile number for Rs.99 or more and get flat Rs.15 cashback. Offer valid on MobiKwik App or website. Minimum recharge value Rs.99. Offer valid once per user per day. Offer is not valid for Airtel customers. Use the code to avail the offer. Hurry Up! Now recharge Idea number with Unlimited plan using Mobikwik App or website and get 50% supercash. Minimum recharge valur Rs.100. Maximum SuperCash Rs.100. Offer valid once per user. Offer is applicable for all MobiKwik users on Idea prepaid operator only. Get unlimited voice calls and up to 28 GB 4G/3G data for 28 days. Use the code. Hurry Up! Recharge mobile number using Mobikwik App or website and get 50% supercash. No minimum recharge required. Use the code to avail the offer. Hurry Up! Recharge Jio number with Rs.399 plan using mobikwik App or website and Get Rs.49 SuperCash. Offer valid on jio recharge of Rs.399. Maximum SuperCash is fixed at Rs.49. Offer valid once per user. Offer is applicable for Jio Prime users. Offer is applicable on operator Jio only. Use the code. Hurry Up! Recharge vodafone mobile number on Mobikwik App or website and get Rs.20 supercash. Minimum recharge Rs.100. Maximum SuperCash Rs.20. Offer valid once per user. Use the code. Hurry Up! Recharge jio number with Rs.309 plan on Mobikwik App o rWebsite and get supercash of Rs.39. Offer valid only on paln of Rs.309. Offer valid for all users. Use the code to avail the offer. Hurry Up! Limited Period Offer. Mobikwik is offering 5% supercash ( Upto Rs.100) on postpaid bill payment. Minimum payment value Rs.10. Maximum cashback Rs.100. Offer valid once per user per month. Use the code to avail the Offer. Hurry Up! Mobikwik is offering upto Rs.100 supercash On Prepaid Recharges. Minimum recharge Rs.10. Maximum cashback Rs.100. Offer valid once per user. Offer is valid for All MobiKwik users on All operators except AIRTEL. Apply the code to avail the offer, Hurry Up! Now pay postpaid mobile payment using Mobikwik App or .com and Get 10% SuperCash Maximum SuperCash Rs.100. Offer valid once per user. 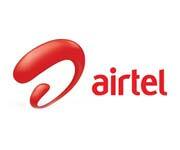 Offer is valid on All Bill Payment operators except AIRTEL. Use the code. Hurry Up! Now Get flat Rs.10 SuperCash on recharge of Rs.10 or more done on MobiKwik App or website. Minimum recharge value Rs.10. Offer valid twice per user. Offer is not applicable on AIRTEL. Use the code. Hurry Up! Mobikwik is offering 25% supercash on vodafone recharges. Maximum Supercash Rs.44. No minimum recharge value. Offer valid for all Mobikwik users. Apply the code to avail the offer. Recharge Now. Mobikwik is offering flat 50% SuperCash on Prepaid & Postpaid recharge. Maximum supercash Rs.15. Minimum recharge Rs.5. Offer valid once per user and all users. Offer valid on Mobikwik App or website Offer not valid on airtel operator. Use the code to avail the offer. Hurry Up! Mobikwik is offering flat Re.1 SuperCash on recharge of Rs.10 or more. Offer valid on MobiKwik App or website .Minimum Recharge Rs.10. The code can be redeemed any number of times by a user. Offer is applicable on all operators except AIRTEL. Use the code. Hurry Up! Recharge your mobile no everyday using mobikwik app or website and Get flat Re.1 SuperCash on recharge of Rs.10. Minimum recharge value Rs.10. Offer can be redeemed 30 times by a user in a day. 100 users having highest recharge value will get extra Rs.100 cashback. Offer is not applicable on AIRTEL. Apply the code to avail the offer. Hurry Up! Book a bus ticket through Mobikwik.com or app and get 50% SuperCash + voucher Worth Rs.300. Maximum cashback Rs.250. No minimum transaction value. Offer valid four times per user. Use the code to avail the offer. Hurry up! Mobikwik is offering Flat 25% supercash + Vouchers worth Rs.300 on bus bookings. Minimum transaction Rs.200. Maximum Mobikwik cashback Rs.200. Offer valid twice per user per month. Use the code to avail the offer. Hurry Up! Book your bus ticket using Mobikwik App/ Website and Use code: BUSFREE and get 100% SuperCash and voucher worth Rs.300. Maximum MobiKwik SuperCash Rs. 250. Offer valid Twice per user per month. No minimum ticket value. Use the code. Book Now. Book a bus Ticket and get 35% supercash + Vouchers worth Rs.300 on Mobikwik App or Web. Maximum MobiKwik SuperCash is Rs. 300. Minimum ticket value Rs.200. offer valid TWICE per user. Apply the code at checkout page to avail the offer. Hurry Up! Going on a bus journey! Book a bus ticket on Mobikwik and get 15% SuperCash. Maximum MobiKwik SuperCash is Rs. 100. Minimum Ticket value Rs. 200. Coupon Code can be redeemed TWICE per user. Use the code to avail the offer. Hurry Up! Book a busticket on mobikwik App or website and Use code JULYFREE and get Rs. 200 SuperCash and vouchers worths Rs. 300 . Minimum Ticket Rs. 500. Offer valid twice per user. Use the code to avail the offer. Hurry up! Order favourite food on faasos.com and pay using mobikwik and get 50% cashback. Minimum order Rs.100. Offer valid only on first order. Offer is not applicable on Value Combos, MRP products & Beverages. Also get 15% SuperCash on every alternate order Offer valid on 1st, 3rd & 5th order.Maximum SuperCash is Rs.50. Use the code. Hurry Up! Now order Pizzas from Dominos, pay via MobiKwik wallet and get 20% supercash. Maximum superCash Rs. 60. Offer is valid once a month. Use the code to avail the offer. Hurry Up! Mobikwik Faasos Offer: Order food on faasos and pay usig mobikwik and get 50% cashback (25 Faasos Credits and Rs. 25 MobiKwik cashback). Minimum transaction Rs. 100. Offer valid on first-time orders. Also get 15% SuperCash on every alternate order. Offer valid on 1st, 3rd & 5th order. Maximum SuperCash is Rs.50. Use the code. Hurry Up! Order the best and tasty food on Swiggy.com or App and pay using Mobikwik wallet get Rs.75 off .Minimum Order Rs.300 + 15% cashback ( Max Cashback Rs.75) on your first ever payment with MobiKwik on Swiggy. Offer is valid only on first swiggy order only. Offer cannot be used in conjunction with Swiggy money received through referral amount. Apply the coupon code to avail the offer. Hurry Up! With a vast array of DTH providers in the market it becomes really hard to get the right deal at the right price. But something that is even harder sometimes is getting the right plan for your TV with all the channels that you need. 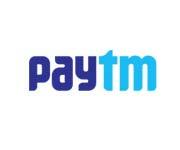 If you are looking out for few more options for offers on DTH, have a look into Paytm DTH Offers page to view all the offers they are offering on DTH Recharges. Now recharge your DTH connection using mobikwik.com or App and get upto Rs.50 supercash. Minimum recharge value Rs.100. Maximum supercash Rs.50. Offer valid once per user. Offer is valid for All MobiKwik users on All operators. Apply the code to avail the offer. Hurry Up! Recharge Now. Now Recharge DTH using Mobikwik App or website and get flat 15% SuperCash.Maximum SuperCash Rs.100. Offer applicable once per user. Offer is valid for new MobiKwik users on All DTH operators. Offer is valid on new version on mobikwik App.Use the code to avail the offer. Hurry Up! Make Your Broadband Bill payment using Mobikwik App/ Website and get upto Rs.100 Supercash. Minimum Bill Rs.100. Maximum SuperCash Rs.100. Offer valid twice per user per month. Offer is valid for all MobiKwik users on All Landline or Broadband operators except AIRTEL. Use the code to avail the offer. Hurry Up! Data Cards were the fad when they entered the market in 2005, but since the entry of superfast fibernet internet connections, data card usage has come down drastically. Data cards can still be a great companion when you are out travelling and need to be connected to the world through the internet. Mobikwik has a host of Data Cards which you can recharge when on the move. TATA, Reliance and Idea data cards can be recharged on Mobikwik and you can get exciting offers on them as well. If you are looking for few more options for offers on Data Cards, have a look into Freecharge Data card offers page to view all the offers they are offering on data card recharges. Mobikwik is offering 5% supercash ( Upto Rs.100) on Datacard recharge . Minimum payment value Rs.10. Maximum cashback Rs.100. Offer valid once per user per month. Use the code to avail the Offer. Hurry Up! Tired of standing in long queues to pay your Electricity bill? Just download the Mobikwik app and log in to pay your bill in a jiffy! Mobikwik has 23 electricity providers on its list and will be bringing a few more onboard. This will certainly make things a lot easier for all you lazy folk out there, me included. Why wait in the blazing sun, when you can chill and pay your bill with Mobikwik! Now pay your Electricity bill using Mobikwik App/Website and get Upto Rs.200 Supercash. Maximum Supercash Rs.100. Offer valid once per user per month. Offer valid for all MobiKwik users on All Electricity operators. Use the code. Hurry Up! Exclusive Mobikwik Offer : Get Upto Rs.150 Cashback on Electricity Bill Payment. Minimum bill payment Rs.100. Maximum cashback Rs.150. Offer applicable once per user per month. This offer can be used on BSES Rajdhani only. Offer is valid till 30th April 2017. Use the code to avail the offer. Pay Now. Mobikwik is offering upto Rs.150 Cashback on Electricity Bill Payment. Minimum Bill value Rs.100. Maximum cashback is fixed at Rs.150. The code can be Redeemed once per user per month. Offer valid for new and existing users on postpaid and bill payment. This offer can be used on BSES Yamuna only. Offer is valid till 30th April 2017. Apply the code to avail the offer. Hurry Up! Pay Now. Do you still use landlines at home? Most families do, so does mine. Even if you have 10 phones at home landlines provide an old world charm when we would just stand at one place and talk for hours and hours on. So if you have an Airtel, MTNL, Reliance or Tikona landline connection pay your bills through Mobikwik and enjoy great discounts and deals on every payment. Pay Your Landline Bill using Mobikwik App/ Website and get upto Rs.100 Supercash. Minimum Bill Rs.100. Maximum SuperCash Rs.100. Offer valid twice per user per month. Offer is valid for all MobiKwik users on All Landline or Broadband operators except AIRTEL. Use the code to avail the offer. Hurry Up! Gas, being such an integral part of cooking in India, needs to be readily available all the time. It is time that we had an easier way of ordering a gas refill without having to go to the gas station or calling them every time we need delivery. Mobikwik helps in paying and ordering gas online. But as now has only few Gas providers, such as Mahanagar Gas, Adani Gas, Indraprasth Gas and Gujarat Gas. So if you have a connection other than these you will have to wait a while longer. If you are looking out for few more options for offers on Gas Bills, have a look into Oxigen Gas Bill payment offers page to view all the offers they are offering. Pay your Gas bill using Mobikwik App or Website and get upto Rs.100 supercash. Minimum Bill Rs.100. Maximum SuperCash Rs. 100. Offer valid once per user per month. Offer is valid for all MobiKwik users on All Gas operators. Use the code. Hurry Up! Mobikwik has recently started its bus service and is offering 50% cashback on bookings as well as 2 free ride in Uber. The bus service despite still being in its nascent stages has given the likes of RedBus and Abhibus a fright as it pulls more people towards it, through attractive pricing and deals. Mobikwik also offers Insurance to its customers. The insurances available are ICICI Prudential, TATA AIA, Birla Sun Life and Bharti Axa. Mobikwik also has its own wallet like Paytm, PayUMoney and Freecharge and can be used only after the wallet has been loaded with money. You can pay by card as well, but it is better to pay using the online wallet as there are better offers, deals and cashbacks when used. 1) Shop Online Using Your Mobile Wallet and Get Cashback: For every initial purchase that you make using a mobile wallet, you get a certain amount of money added to your e-wallet account as a bonus. You can use this amount later on for other purchases. 2) Book Hotels and Flights Online: You can now use your digital purse to book hotels and travel on many online travel agencies that accept transactions using e-payment gateways as well as digital or e-wallets. 3) Refer and Earn: E-wallets allow you to earn money based on your network of friends and acquaintances. Simply get one of your near and dear ones to sign up for the service and spend a certain amount, and you will find a certain amount of bonus cash deposited to your account as a reward. 4) Cashless payment with online shopping – MobiKwik has joined hands with grocery selling platforms like Grofers, Bazaar Cart & Big Bazaar to name a few to cater to it&apos;s a million This means you can now shop from the comforts of seating at your home and pay using a mobile wallet. 5) Avail a personal loan from Tata Capital and get upto Rs. 5000/-* cashback. SMS MOBI to 56161561 to apply. 1. How to use Coupons? 2. What is MobiKwik? Why should I use it? MobiKwik is India&apos;s quickest, most convenient, and safest mobile wallet for Shopping, Mobile recharge, DTH recharge, Money transfers and Bill payments. 25 million users across the country already bestow their trust on us. Use MobiKwik for a cashless, hassle-free experience while shopping, dining, travelling and a lot more! 3. What is MobiKwik? Why should I use it? 4. How to add money to the wallet? It&apos;s simple! You just need to Login to the MobiKwik account and click on &apos;Add Money&apos;. You will be redirected to the &apos;Payment Options&apos; page. MobiKwik allows users to add money by credit card, debit card, net banking and even &apos;Add cash&apos; (available through MobiKwik app only). 5. I mistakenly recharged on wrong number! Can I get my money back? That&apos;s sad! Recharge once successful can not be reversed to MobiKwik wallet. We request you to get in touch with your mobile operator for help. 6. Is it necessary to add money to the wallet? Yes, since Mobikwik is a prepaid wallet, you can make transactions once there is money in your wallet. 7. Is there forfeiture of my wallet balance? 8. How do I contact Mobikwik?